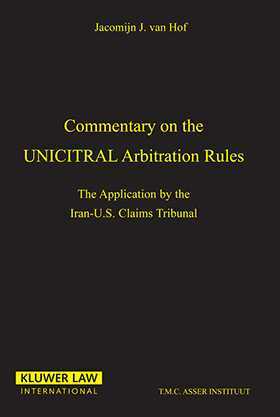 This book provides a commentary on the UNCITRAL arbitration rules as applied by the Iran-U.S. Claims Tribunal. These UNCITRAL Rules are unique in origin as a result of contributions from representatives from various legal backgrounds, including those from developing countries. This book is a guide to the Tribunal's practice regarding the UNCITRAL Rules. It takes the form of an article-by-article commentary, describing the `travaux preparatoires' some other Rules (ISS and LCIA) and the relevant Tribunal practice. The Tribunal's practice shows the flexibility, workability and completeness of the Rules.